For the styling business man or woman ready to hand out business cards. Gentle dark gold ''RR'' RIONI monogram print against a solid brown colored designer canvas body. Embossed with gold RIONI Moda Italia emblem. 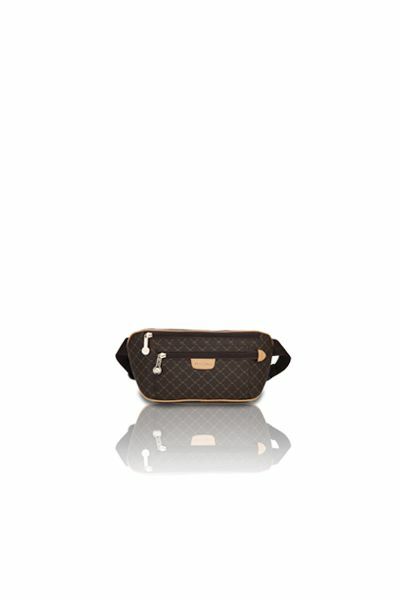 Leather trimmings surround the RIONI monogram print. Its button snap closure opens to a divided business card sleeve. Leather interior with fabric lining. Identification sleeve on flap with addition back sleeve for addition space. L4.2 x W0.5 x H3"
Product: Business Card Holder was added to cart.